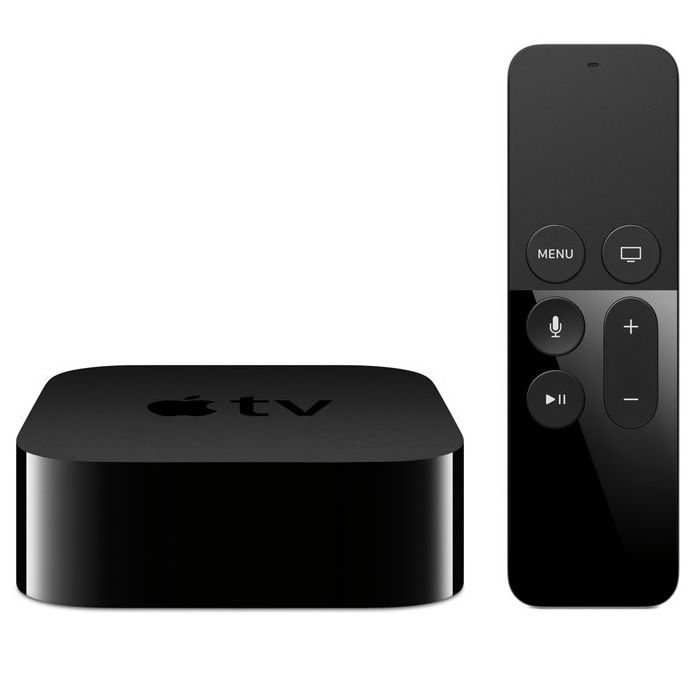 Cord Cutters - The Apple TV is the Only Device You Need. Last year, we made a pretty momentous decision - we dropped DirecTV. I guess you could call us cord-cutters, but it really doesn't feel like that. Frankly, it doesn't seem like we made any changes at all. 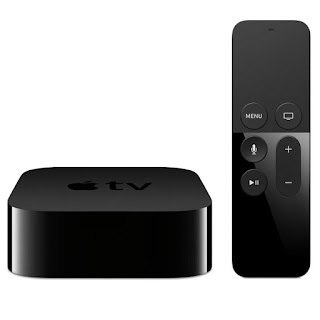 Our AppleTV-only setup is slightly more convenient, and somewhat cheaper. Back in 2012, DirecTV's UI was the best thing going. We were ecstatic with DTV for the first year, less so in the second year as the price began to rise. We entered into another 2-year contract, and we were ecstatic again! Then we remodeled the basement, added another TV, and (again) the 2nd year price increases crept in. We've owned every generation of Apple TV - from the "big gray plate" first edition, straight through the Apple TV 4K. At first, it lived along side a bunch of other set-top boxes. The Blu-Ray player, the DirecTV HR44, and the AppleTV. When the Apple TV is being used as your "Netflix Machine", it's easy to think of it as just another device on one of your HDMI inputs. But when you make the leap as a cord-cutter, the AppleTV supersedes all other set-top devices. It's literally the only device we use. I cannot think of the last time we switched TV inputs. Sure - there are OCCASIONAL times when my daughter wants to watch a Blu-Ray that we don't have linked into Movies Anywhere... but those are fewer and farther between each month. 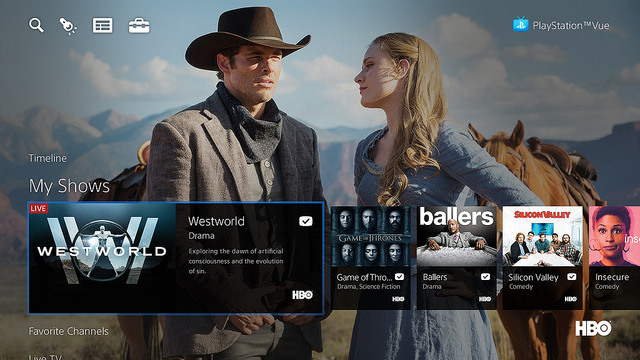 The Apple TV replaced the DTV HR44 when we added Sony Playstation Vue. Vue is one of many cord-cutting live TV apps. And after trying MANY of them, I'm convinced Vue is the best one. DTV was costing us north of $150/month at the end, once the costs of equipment were included. So right off the bat, we're saving almost half. Vue also allows you to sign on to single-channel apps, which increases the amount of video available on-demand to a ludicrous extent. Vue doesn't have Viacom channels, so your kids may miss their Nickelodeon. But Amazon Prime has whole seasons of SpongeBob, Dora, and others available in their tvOS app. Amazon's Prime Video app was LONG overdue, but it seemed to double the content available on the AppleTV immediately. It's a spectacular addition. Obviously, Netflix has plenty of TV for you, too. More TV than movies, really. The AppleTV is also spectacular for displaying and playing the movies you actually own. We still buy physical discs on occasion, but only if "DIGITAL COPY" is included. Movies Anywhere is a tvOS app - but really, it's a joint venture between a number of content sellers. It automatically aggregates your movie collection, and makes ALL of the movies available from ALL of those content sellers' apps. We're obviously Apple-Centric, so we use the native iTunes "Movies" app. And since we've linked all of our accounts through Movies Anywhere, everything we buy shows up in iTunes. I honestly can't believe that these corporations agreed to play nice like this.... but I'll take it. One other really cool thing Vudu does is their Disc To Digital function. If you have a DVD, scan the barcode or put the disc in your computer, and Vudu will offer to sell you a HD digital copy for $5. Not every studio participates, but most do. 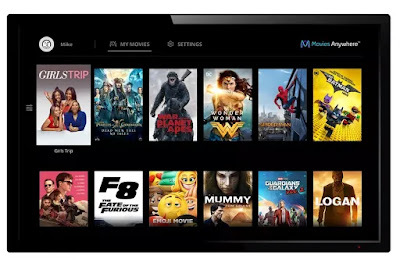 This gives you the opportunity to digitize your old DVD collection AND scale up the resolution AND incorporate it into your iTunes library via Movies Anywhere, for pocket change. It's great. *One exception - Paramount won't let its movies participate in Movies Anywhere. So Ferris Bueller is only available in the Vudu app. Oh well. And let's not forget Plex. The tvOS Plex app gives you immediate access to the Blu-Rays you WEREN'T able to scan through Vudu - if you rip them with Handbrake. Our Plex Server is the QNAP 4-bay NAS in the basement.... we could put hundreds of films on there without any capacity issues, and the AppleTV makes streaming from that NAS absolutely seamless. The AppleTV has also relegated the videogame systems to the basement - and in theory we could play games on the AppleTV, but we rarely do. One oft overlooked bonus - an AppleTV-only setup can be expanded to multiple TVs without incurring additional costs. We've found that cord-cutting was a total non-event. We have infinitely more content than we could ever watch.... almost everything that has ever been created is available immediately and for free, and the rest of it is available ala carte through paid services. You don't even need to "take the jump", really - just get 14 day free trial of Vue, and see if it works for you. If it does - and I can't imagine why it wouldn't - then there's no reason NOT to cut the cord.